MUMBAI: It is often said that yoga is not an exercise, but a state of mind. The Bhagavad Gita describes it as a journey of the self, through the self, to the self. And santoor maestro Rahul Sharma's latest single Yug O' Vision proves that and much more. 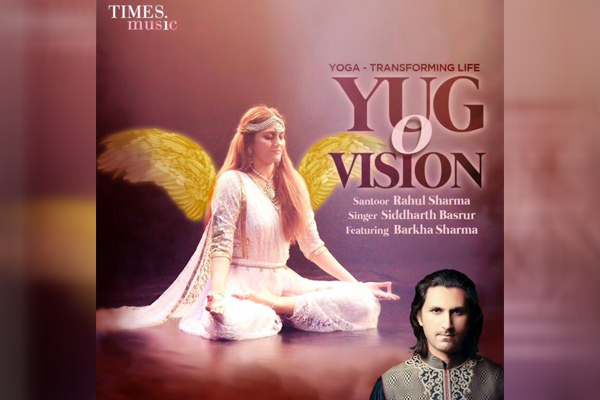 Released by Times Music, Yug O' Vision is not just a song -- it's an anthem dedicated to yoga with foot-tapping soothing music composed by Rahul Sharma with the number sung with gusto by Siddharth Basrur. The easy-listening number could not have got a more timely release than on the occasion of the International Yoga Day and World Music Day this week. Surely a track which would make our yog-practising-and-propagating prime minister Narendra Modi and all Indians, as well as international practitioners of yoga, feel proud. MUMBAI: Sparsh Shah, a 15-year-old singer, rapper and a motivational speaker from New Jersey, and singer-composer-producer Rohan Puntambekar have recreated a version of India’s national anthem, Jana Gana Mana.